Jesuit High School’s Class of 2019 is a little smaller than those coming up behind it. With 170 soon-to-be-graduates, 2019 will be surpassed in number of alumni by the classes of 2020, ’21, and ’22. While 2019 may be more compact, it is packing a wallop in college acceptances, garnering the respect of nation’s top universities due to its excellence in academics, service, and extra-curricular activities. 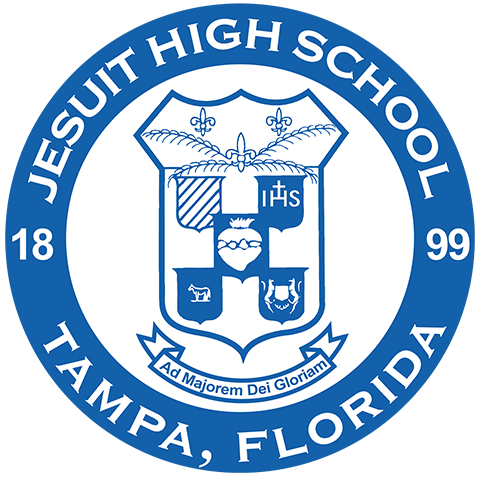 The most selective colleges in Florida and in the South, plus the Ivy Leagues, best Catholic universities, and schools from across the nation, are welcoming Jesuit’s Class of 2019, which is no surprise considering the impressive number of National Merit Semifinalists (12) and straight-A students (17) in the class. 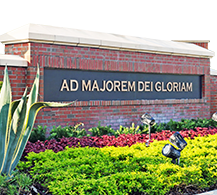 The University of Florida and Florida State University are annually among the most popular and selective schools in Florida. 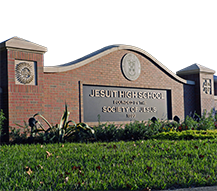 This fall, Jesuit will be very well represented at both, with 54 students in the Class of 2019 accepted to Florida – more than 30% of the class – and 76 accepted to Florida State. Alex Orr is one of the 54 accepted to UF (he is pictured in the Gators sweatshirt on the homepage and below), and he will matriculate in Florida's Honors College. Orr's Tiger basketball teammate Jack Cooper also will attend UF, as might a third basketball teammate, Mitchell Johnson, who also is considering Notre Dame, among others. Orr, Cooper, and Johnson all have unweighted GPAs above 3.9 (Johnson has a perfect 4.0) and recently were honored for their academic and athletic excellence by the Tampa Bay Coaches Association. Joseph Gonzalez, who is representing Florida State in the homepage photo, is among the 45% of the senior class (76 of 170) to have been accepted at FSU. Gonzalez, an AP Art student and Jesuit soccer player, is among the few dozen 2019 Tigers expected to enroll and become Seminoles. 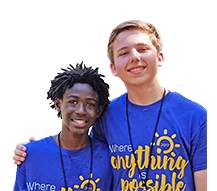 Another prominent school in Tallahassee, Florida A&M, will welcome three Jesuit basketball players this fall, elite musicians Andrew Dansoh and Freddie Brinson, along with the Boys & Girls Clubs of Tampa Bay 2018 Youth of the Year, Jeremiah Nichols. 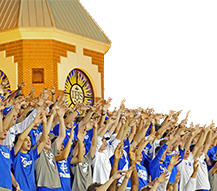 Jesuit students also have been accepted in large numbers at the most selective schools in the South, including Duke, Vanderbilt, Georgia Tech, Virginia, Rice, Emory, Virginia Tech, North Carolina, Miami, and more. Duke University will enroll at least two from Jesuit’s Class of 2019: Kegan Lovell, a straight-A student and Zipoli Scholar, and Brendan Driscoll, a multiple State Champion swimmer who will join the Blue Devils’ swimming program. 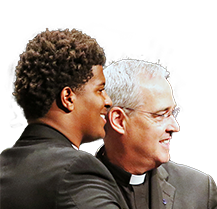 (Three Jesuit alumni are current student-athletes at Duke: Clark Bulleit ’15, Kennie Taylor ’15, and Kendrick Torain ’18). Andrew Hanna, a National Merit Finalist and straight-A student, is leaning toward Vanderbilt University, though he also has been accepted at Michigan, North Carolina, and Boston University. T.J. Perez was accepted to Vanderbilt, Virginia, Emory, Washington University (St. Louis), and Santa Clara, among others, and is evaluating his array of exceptional options. Georgia Tech is among the schools under consideration for Conor Favret, Brendan Fisher, Reece Tappan, and Tyler Carreja. Favret and Tappan are among the many also strongly considering the University of Florida, and Tappan was accepted to Johns Hopkins and Emory as well. Daniel Guagliardo, the president of Jesuit Robotics, will major in engineering at Virginia Tech. Andrew Motzer, a top engineering senior and Jesuit soccer standout, will major in electrical engineering at Florida, choosing UF over Purdue and Clemson. Guagliardo and Motzer’s engineering classmate Kyle Kowalski’s options include two of the most highly selective small private schools in the nation, Rice University in Houston and Williams College in Massachusetts, as well as Virginia, North Carolina, and William & Mary. The University of Virginia once again has accepted numerous Jesuit students, with at least eight seniors accepted and considering UVa for this fall, including Jack Moroney and Sergio Ruiz, who also is among the many accepted to Florida. Larry Hodges received a full scholarship to the University of Miami and will join the Hurricanes’ storied football program. Football teammate Dane Belton accepted a full scholarship to the University of Iowa. The Class of 2019 will attend multiple Ivy League schools. Sebastian Torres, who is pictured on the homepage and below, will matriculate at Yale University. A Latin scholar, Torres, along with Hanna, spearheaded the 2018 Mission Drive to benefit displaced youths in Colombia. Trace Nuss, who recently was named a Tampa Bay Lightning Community Hero, was chosen a QuestBridge Scholar to Princeton University, though he also is considering Notre Dame. Tyler Petitt, an officer in Key Club and member of Jesuit’s two-time State Champion swim team, will enroll at Dartmouth College, the Ivy League school in New Hampshire. Seniors Miguel Coste, Sebastian Torres, Alex Orr, and Joseph Gonzalez represent their respective universities while pictured inside Jesuit's Gonzmart Hall. 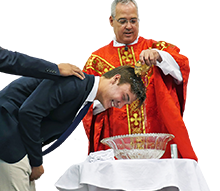 Top Catholic schools across the country are accepting Jesuit students in unprecedented numbers. The University of Notre Dame accepted a record nine Jesuit students, Boston College accepted a remarkable 19, and Georgetown University, where three Tigers from the Class of 2018 enrolled (Charles Clark, Patrick Eberly, Hyoung Kim), is among the options for Christopher Gold, Griffin McCombs, Thomas Turner, and a few others from the Class of 2019. Among the nine accepted to Notre Dame are the aforementioned Orr, Turner, Nuss, and Johnson, as well as Jesuit’s Business Club president Nick Muir, Zack Fandel, Nick Haskell, Thomas Knipe, and QuestBridge Scholar Miguel Coste (who is representing Notre Dame in the homepage photo and above). Among the 19 accepted to Boston College are Student Council president Andrew Kynes, Don Freund, Andrew Jung, Ramon Martinez, Ignatius Scholar Carter Campbell, Phillip Thompson, and Nick Connor. Like many of his classmates, Freund is considering BC and several other highly selective options including Washington University (St. Louis). Jung also is considering acceptances to UF and Virginia, among others, along with BC. 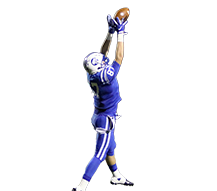 Martinez also has been accepted at the most selective school in the Big Ten, Northwestern University. Thompson also is considering acceptances to Villanova and UF. Every year, Jesuit’s AP Art program produces several students who pursue art-related majors in college. Among those students this year are: James Bencivenga (Florida State, architecture), Nash Chillura (Univ. of Colorado, environmental design), Matt Farley (Providence College, graphic design/web design minor), Loki Fountain (Univ. of Tampa, studio art minor), Brian Mueller (Florida State, interior design), Rodrigo Garcia Gil (Florida State, advertising/graphic design), Paul Schnell (Loyola Chicago, filmmaking minor), and Connor Stuart (Univ. of Florida, photojournalism). For the second straight year, a Jesuit student will attend Belmont University, as Alex Miller will join Jordan Vivero ’18 at the renowned music school in Nashville, where he will major in music business and production. James Clifford, a straight-A student and Jesuit baseball player, will play catcher for highly selective Wesleyan University in Connecticut. Rodrigues is pleased to see so many students successfully conducting the application process as they seek to find the best college fit for the next stage of their lives.